Disruptive trends have upended the job market in recent years, leading to the rise of the “gig economy” – where short-term contracts or freelance work prevail over permanent, full-time jobs. 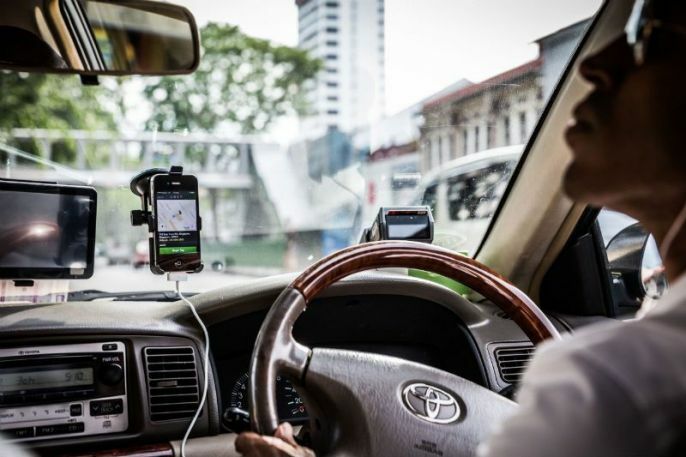 Gig freelancers use online platforms to offer their services, such as graphic designers, photographers, food delivery riders, as well as private-hire car drivers with Uber and Grab. It’s clear that more Singaporeans are abandoning the traditional idea of climbing the corporate ladder. Instead, they are now prioritising the idea of a flexible work schedule so they can coordinate their own working hours and workload. Freelancers also have complete control over who they want to work for, and the freedom to seek multiple business opportunities. Despite these slew of benefits, they are also faced with a lot of pressing concerns. Currently, the biggest problem for freelancers, particularly ‘contract for service’ workers, is that they fall outside the employment protection and social safety net framework. Unlike regular employees, freelancers in Singapore are not entitled to Central Provident Fund (CPF) contributions, employee benefits such as annual and medical leave, as well as rights under labour legislation such as the Employment Act and the Work Injury Compensation Act. This means that they are very vulnerable to income and job loss if they fall sick or are faced with other emergencies. Freelancers’ income is highly dependent on the number of work assignments or the employment period, so it’s fair to say that most of them have an irregular stream of income. Therefore, freelancers would typically have to reserve more funds for medical emergencies and their retirement. At the same time, they also have to be smart about managing their personal finances. Also, just understanding the CPF alone is a great boon to managing our personal finances. 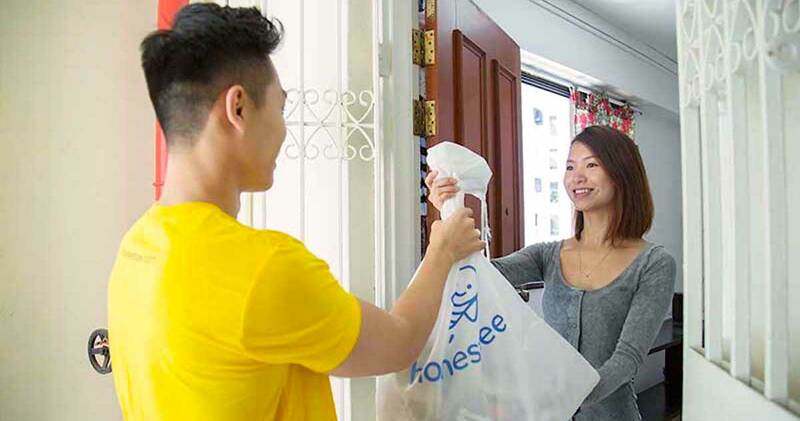 As a mandatory social security savings scheme funded by contributions from employers and employees, it is formulated to help Singaporeans provide for the three basic needs in life: a fully paid-up home, support for healthcare expenses, and a lifelong income for retirement. The best starting point for Singaporeans to review their financial plans is to first understand what they already have in their CPF account. However, many people – especially young Singaporeans – seem to view the scheme as a very complex concept. 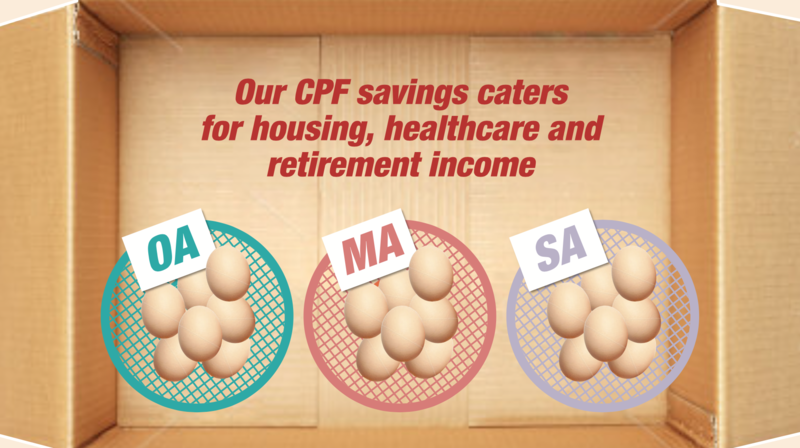 To put it simply, CPF funds are divided into three accounts, namely the Ordinary, Medisave and Special accounts. Ordinary Account (OA) – This account is used to purchase basic things such as a house, an education, insurance, and investments to accumulate wealth. Medisave Account (MA) – This account helps to pay for medical expenses that you, your spouse, or family members may incur. Special Account (SA) – The savings in this account is dedicated to retirement funds only. One of the most important aspects of CPF is that each of us is responsible for our own retirement. Freelancers, especially, need to remember that they are not in a workplace environment in which saving for retirement is ‘automatic’. Most freelancers tend to not make any CPF contributions when they first start out. This is understandable since they might not have a stable income, so they might find it difficult to set aside 20 per cent of their savings in their CPF account. However, once they’ve firmed up their savings, that’s when they should seriously start to consider making voluntary CPF contributions. The CPF, with its guaranteed interest rates, is a good vehicle for ensuring a stable retirement income in an increasingly uncertain employment environment. If you diligently contribute to your CPF accounts each month, you could be assured of a nice sum in your retirement fund thanks to the power of compound interest. This financial concept, although basic, may be hard for most to grasp. To deepen your understanding and to aid visual learners, CPF has launched a new series of educational videos called ‘CPF In One Bite’ on its YouTube channel to help Singaporeans better understand the system and financial concepts through simple analogies. 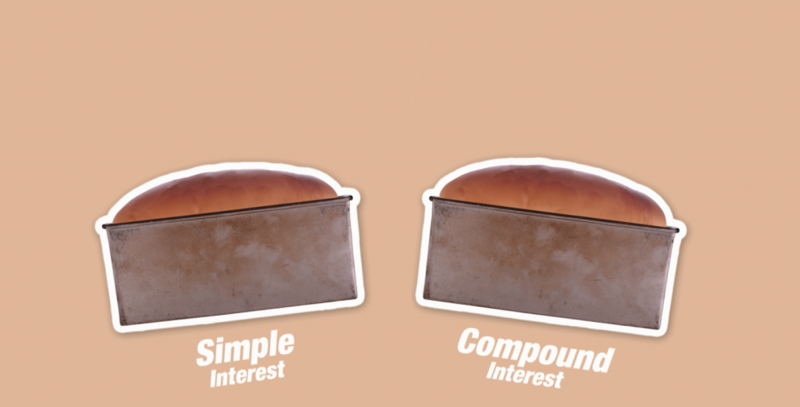 As cleverly illustrated in the video, the difference between compound and simple interest is like baking a bread, with and without yeast, respectively. 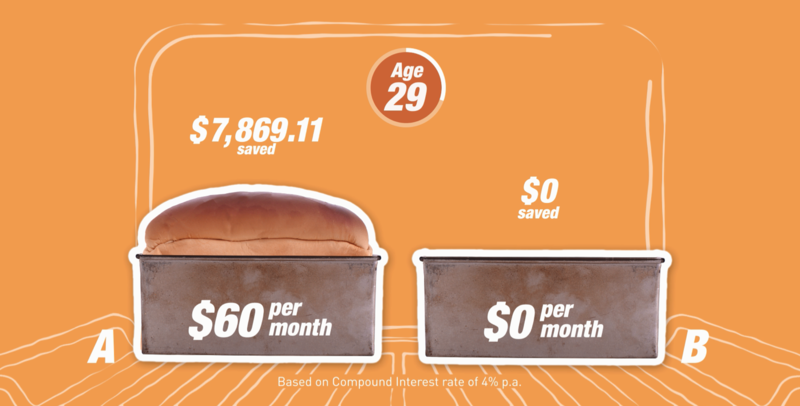 When baked, both breads will increase in size, but the one with yeast will grow much faster – and the same goes for compound interest. So if you set aside a small amount each month, your savings will snowball over time. As demonstrated in the video, Person A chalked up savings of more than $7,800 over a span of 9 years, compared to $0 for Person B. Even if B makes the effort to save up more per month than A a few years down the road, A will still end up having more savings because s/he started saving early. So even if you put in less money (overall), you’ll end up getting more out of it eventually thanks to the power of compound interest. In other words, the more time we have, the more our savings will grow. This is why it is important to save early, even if the amount might seem little. And to find out how long it takes to double your savings, you can use the ‘rule of 72’, which is explained in the video. 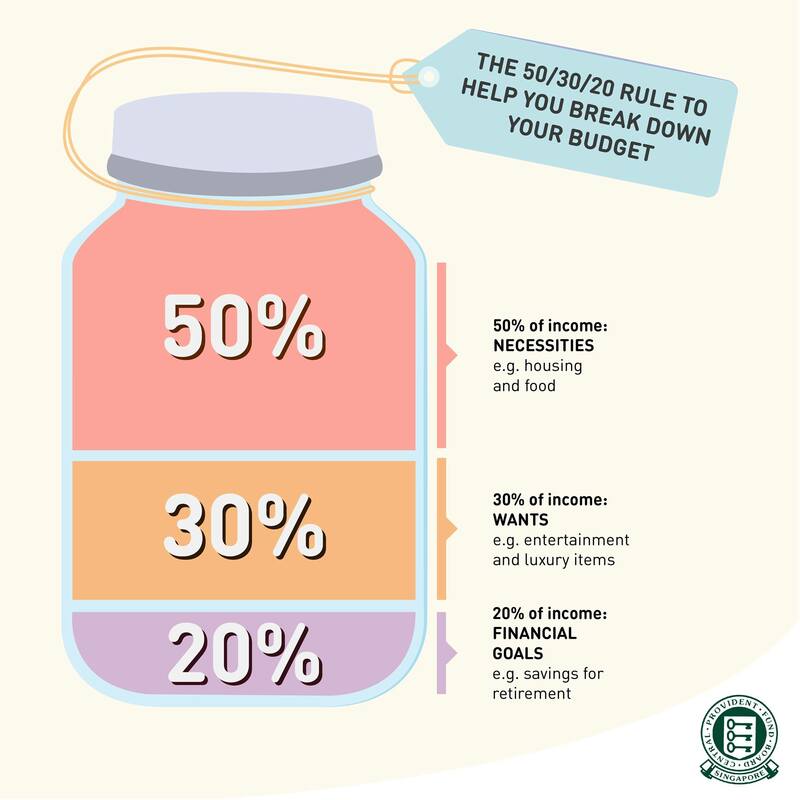 We find these videos to be a great learning tool because they offer bite-sized nuggets of content that are easy for you to digest, and can help to increase your financial literacy and knowledge on CPF – which as mentioned, is crucial for Singaporeans to know. 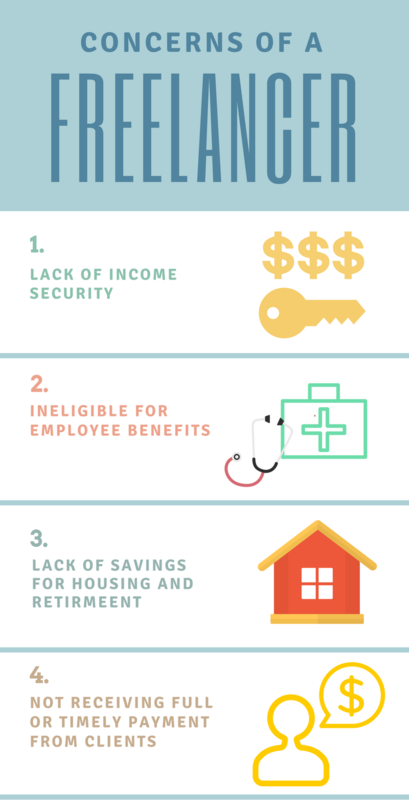 Although participating in the gig economy is increasingly becoming a viable career option, one should not forget that age-old concepts like saving up for retirement, necessities and medical emergencies are still as important as ever. This article is written in collaboration with CPF.